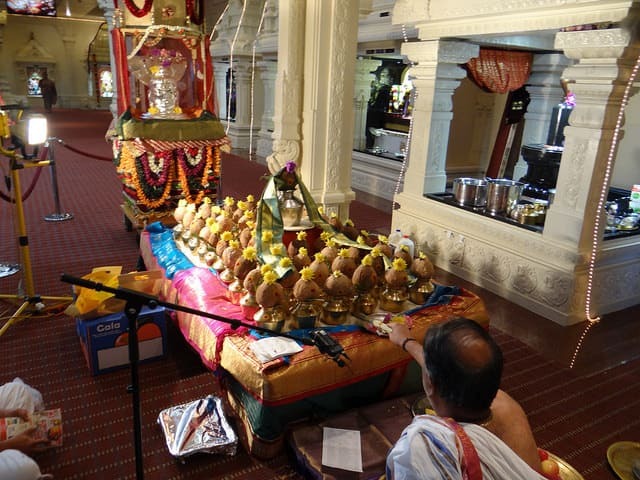 The Hindu temple of Omaha has been serving members of the Hindu faith from the Omaha, Lincoln, and surrounding areas since 1993. The history of Hindu community in Nebraska dates back to the early 1970’s when engineers and their families immigrated from India to the Omaha area. These Hindu immigrants initially conducted the practices of their faith in their own homes. In the mid 1970’s, there was a second wave of immigrants from India to the Lincoln and Omaha area. A majority of these men and women were professionally trained, often as medical doctors. During the past five years, the Hindu community in the Lincoln and Omaha area has continued to grow and these recent Hindu immigrants moving to Lincoln and Omaha are commonly employed in the computer and software industry. In the early 1990’s, members of the Hindu community decided it was time to organize a central place for Hindu community worship. In November of 1993, the community purchased the building they worship in today. 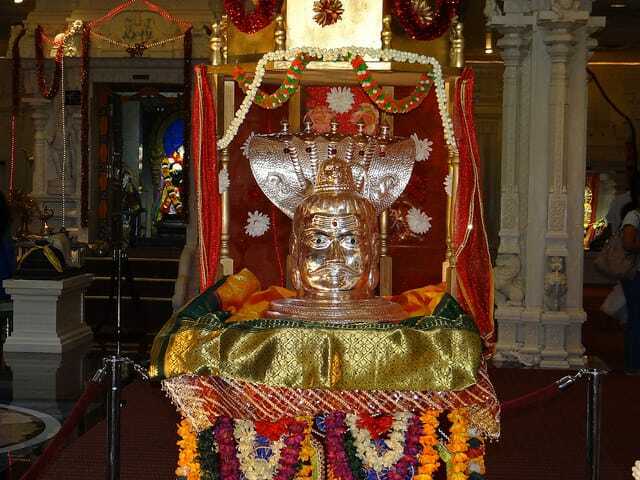 Over the past several years the temple has worked to raise money and the construction of a traditional Hindu temple in Omaha was completed in August 30th, 2004. 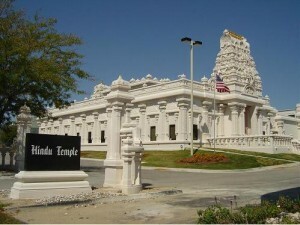 Approximately 98% of the membership of the Hindu Temple in Omaha is of Indian descent and the remaining 2% of the population are primarily Nepalese. A significant number of members are employed in medicine, engineering, and computers. 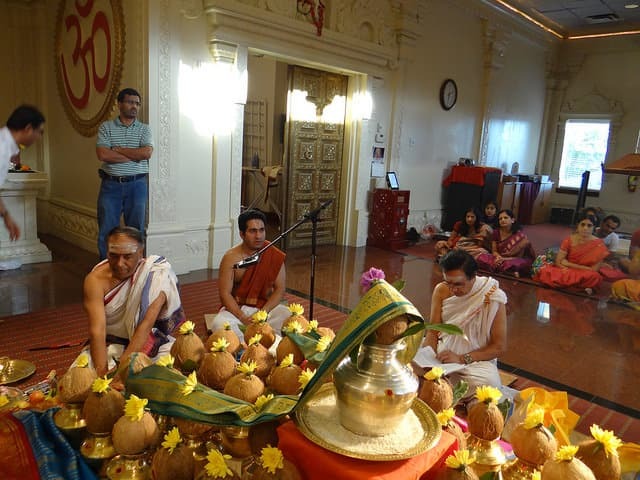 Because Lincoln and Omaha house the University of Nebraska at Lincoln, the University of Nebraska Medical Center, and Creighton University’s Medical center, there are also a number of Hindu students who worship in the community while pursuing their degrees. The outside of the temple is divided into two distinct halves. On one side is the new construction that is the traditional Indian Hindu temple. The other half is the temple’s social hall and library. To the side of the social hall is a pleasant kitchen area used by the temple to prepare community meals or for any catering for receptions. 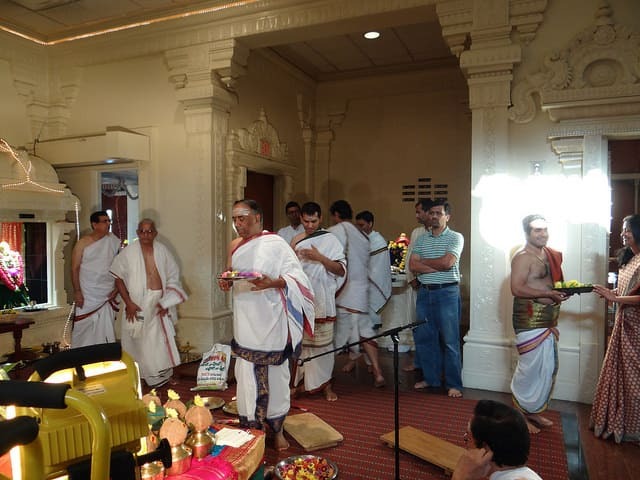 When the community first purchased the building in 1993 it was the gutted out remains of what had been several restaurants.The temple’s social hall is used by the Indian Association of Nebraska and is also rented out to the public for special events. There are several different services that the temple offers the community. The temple is open all days of the week. On Sundays, Sunday School is held for students aged 6-12. The temple is also organizing their 13-18 year olds into a youth group. Kundalini Yoga Classes are also held at the temple from 6:15-7:45 p.m. on Wednesdays. The social hall also houses events for the community and for the Indian Association of Omaha such as speakers, musicians, and other cultural events. In addition to the events held at the temple the community publishes their Deepam newsletter four to six times a year. As a community, the Hindu Temple has enjoyed a great deal of interaction with other religious traditions in the community. They are members of the Lincoln Interfaith Council and they interact with other faith communities. They are also involved in many different community service types of projects. They hold a health fair every year, work with the AIDS foundation, speak at churches and schools about the Hindu faith and India, The temple held an interfaith fast for 48 hours during which members of the community fasted and prayed for earthquake victims in Bhuj, India. Their efforts raised $35,000 for earthquake relief. 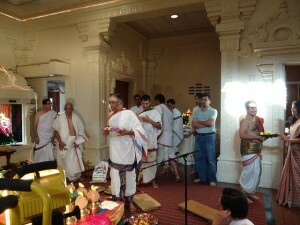 As a community, the Hindu Temple of Omaha believes they have not faced any major obstacles or problems. The community feels lucky because some cities do have problems with hate crimes against the Hindu community.